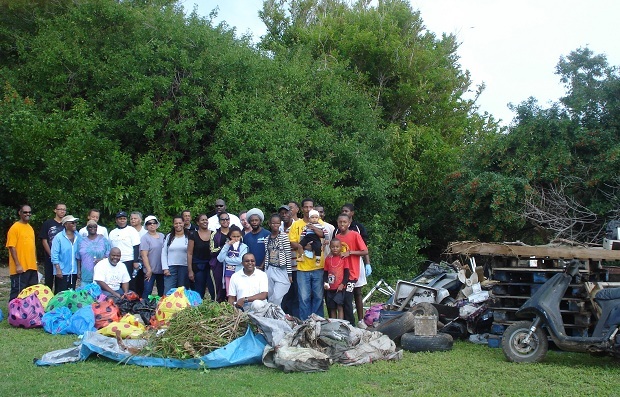 Keep Bermuda Beautiful [KBB] announced results for its 2011 Community Clean-up Programme. 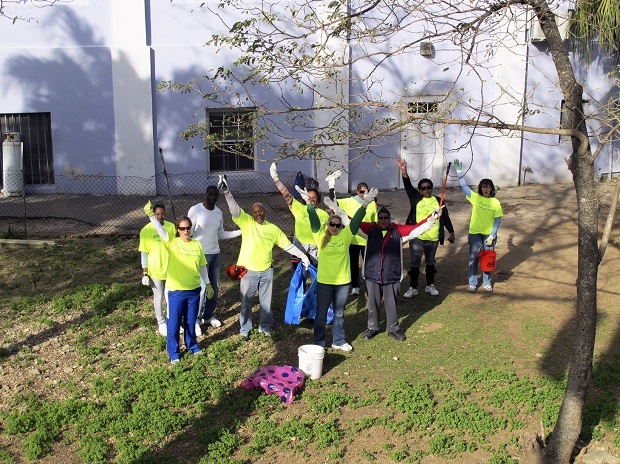 In 2011, KBB supported 64 clean-ups in 134 locations. Volunteers collected 35.5 tons of litter, recyclables and bulky waste from around Bermuda’s railways trails, roadsides and shorelines. In total 2,370 volunteers donated 5,862 hours of their time towards clean up activities and beautification projects. In 2010, KBB supported 57 clean-ups in 130 locations. Over 1,700 volunteers donated 4,260 hours and collected 30 tons of litter, recyclables and bulky waste. “A small percentage of Bermuda’s population still litter on a daily basis. But that’s only a handful of people.” said Anne Hyde, KBB’s Executive Director speaking from the KBB office on Princess Street. “In addition, people are becoming aware that there is a correlation between litter and crime. Crime is such a big issue in Bermuda right now,” continued Ms Hyde. “The ‘Broken Window Theory’ suggests that areas that are left derelict with litter building up send a clear message to those who are at risk of committing petty crimes that no one in this neighbourhood cares. Proud of my CP team. Keep our island spotless.